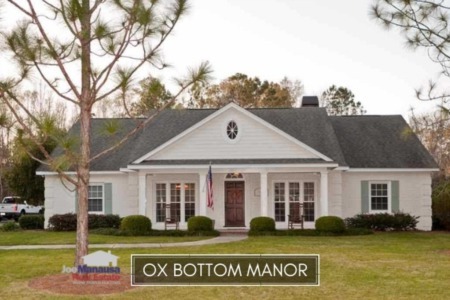 Sporting two recent million dollar sales (including one at $3.5M), Bobbin Mill Woods, Bobbin Brook, and Bobbin Trace are definitely in the conversation for Tallahassee's luxury home neighborhood. 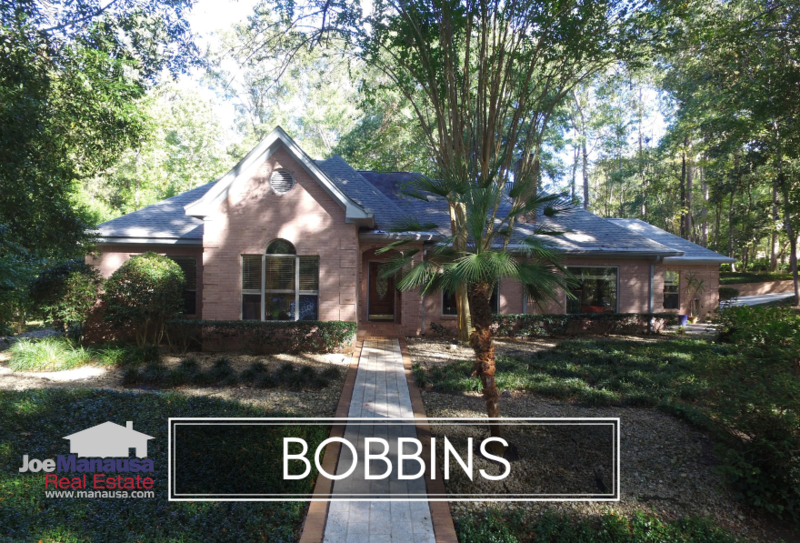 Featuring large homes on acreage in the coveted 32312 zip code, the "Bobbins" deliver luxury, land and location to those fortunate enough to afford a home priced among the top 1% of the Tallahassee real estate market. The following list of luxury homes are all currently active listings in Bobbin Mill Woods, Bobbin Brook, and Bobbin Trace. It is important to note that the narrative contained below is for sales through December for all previous years, but through the first two weeks of September in 2018. The graphs and the closed sales table will be continuously updated into the future (meaning bookmark this page if you always want to know the current status of homes in Bobbin Trace, Bobbin Brook, and Bobbin Mill Woods). The average home price in the Bobbins so far this year is $1.2M, though this is heavily skewed by one very large sale (see all recent sales in the table at the end of this report). With relatively few sales in the Bobbins each year, averages fluctuate quite a bit, thus valuation requires far more experience and insight than one requires at lower price ranges. Activity in the Bobbin neighborhoods is fairly good. Currently there are 7 homes for sale in the Bobbins and 2 are under contract. Additionally, there are three other homes that were on the market but failed to sell that are likely still available too. As mentioned above, average home values fluctuate greatly in Bobbin Trace, Bobbin Brook, and Bobbin Mill Woods due to the variety of sizes, amenities and the relative ages of homes that have sold. It is critical you work with a well educated market expert who will give you honest feedback to determine values in the Bobbins. The six homes sold in the Bobbin neighborhoods in 2018 went for an average value of $221 per square foot. The average home size sold in the Bobbins typically falls in a range of 3,500 to 5,000 square feet, and this year is no different. The 6 homes that sold thus far in 2018 have averaged 4,647 square feet. The following list shows more than 260 home sales in the Bobbin neighborhoods going back to 1991. 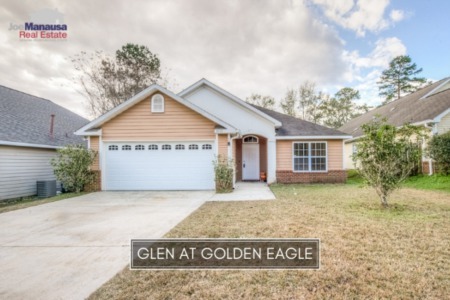 This concludes our September 2018 update on home sales in Bobbin Trace, Bobbin Brook, and Bobbin Mill Woods, please give us a call at (850) 366-8917 or drop us a note if you have questions about these high end home communities in NE Tallahassee.